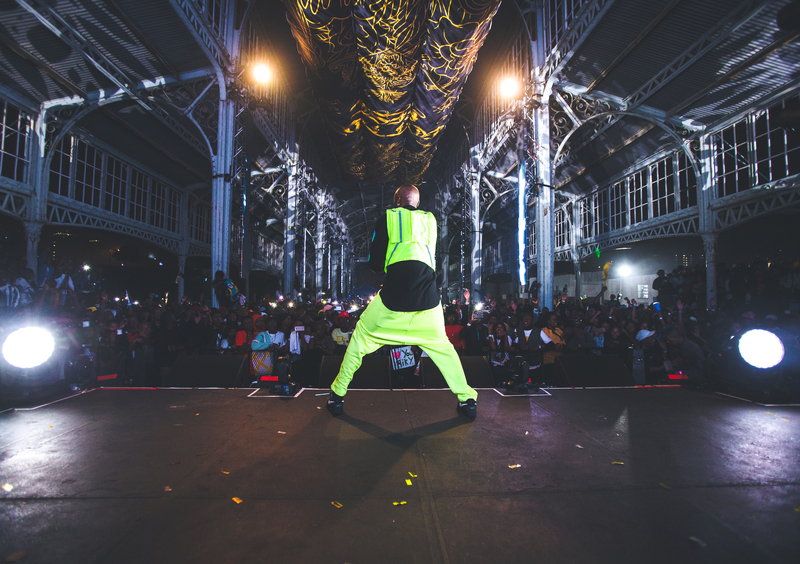 This past Saturday Riky Rick hosted his highly anticipated curated #CottonFest2019 in Newtown Johannesburg and to say that the whole experience of it all was fire wouldn’t be enough to describe it! Cotton Fest has proved that SA hip hop culture is more than capable of creating “out of this world” moments through unity and support. This was the first one that couldn’t have existed without the artistic integration that was displayed through it all if we’re being honest. Look, there was only one way that Cotton Fest would’ve been a success and that was through a mutual understanding of the deeper meaning behind it all. This wasn’t just about Riky Rick but was rather about legacy acts and rising stars joining together to grow & expand our culture. The timing of it all couldn’t have been more perfect too.. to truly usher in the year through a well needed cultural escapism, that completely swallowed up all negativeness from the outside world and focused more on what was being created & preserved. The sold out festival’s production itself was remarkably impressive and immersive. Between the 2 stages—which were at the top and bottom level of the station—were a variety of barber pop-ups, photo-booths, gaming stations, merchandise pop-ups, drink and food stalls. It seems that the game has reached a level where music festivals no longer feel like a charity case but rather now feel like heritage. The line-up was a full house that consisted of a variety of sonic experiences that could very well be viewed as world class level. The likes of Anatii, AKA, Nasty C, A-Reece, Stogie T, YoungstaCPT, Manu Worldstar, KLY, Una Rams, Champagne 69, The Big Hash, ASON and so many more all came through to celebrate what has now become a historic Cotton Fest installment. If you were there than you probably understood the significance of what took place and if you weren’t than you probably still understood the significance of it all the day after. Congratulations to us all!